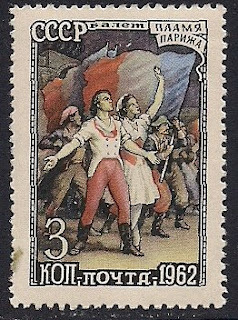 A 4-acts classical ballet with music by Boris Asafiev, based on songs of the French Revolution and book by Nicolai Volkov. It was first presented at the Kirov Theatre in Leningrad on November 7, 1932. The Flames of Paris is a so-called "Revolutionary" and takes as its subject the French Revolution, including in its scenario and the storming of the Tuileries by the Marsellais and their victorious march on Paris.